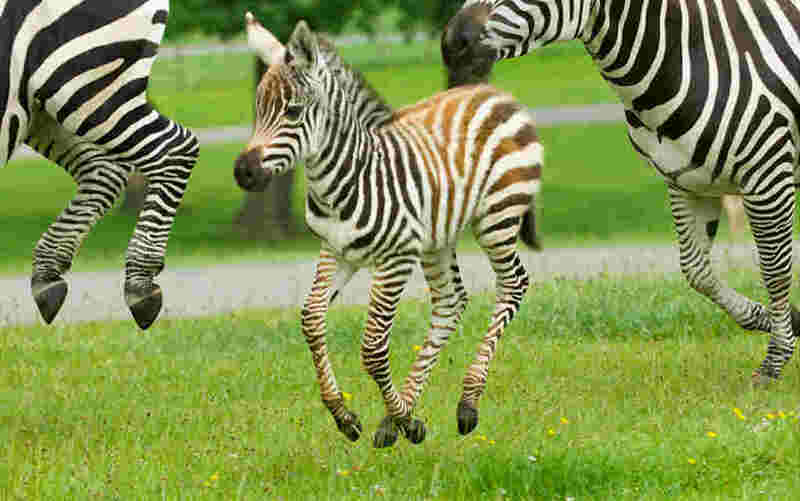 Animal Parks in the UK You Need to Visit for a Wild Day Out! Children love seeing animals, whether it is feeding sea lions or penguins, petting a rabbit on a farm, learning about endangered species or spotting big cats. You can take your family on a wild adventure – here are animal parks in the UK you need to visit! There are many wonderful animal parks in the UK to visit – from zoos, safari parks and wild life sanctuaries to wet lands, parks, farms and aquariums. 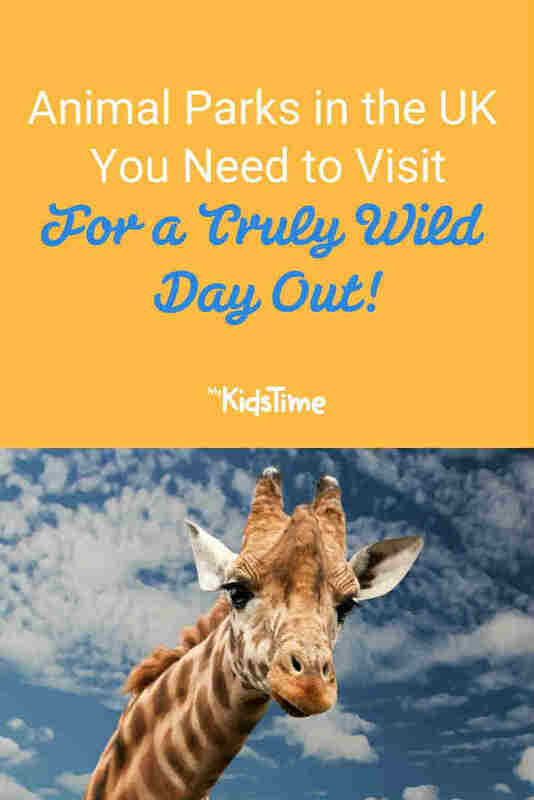 The kids will love to experience the adventure and excitement, while you can be assured that they are having a day in the fresh air with plenty to learn, see and do. Let’s get started! Here’s our pick of the top animal parks in the UK to add to your must-visit list. 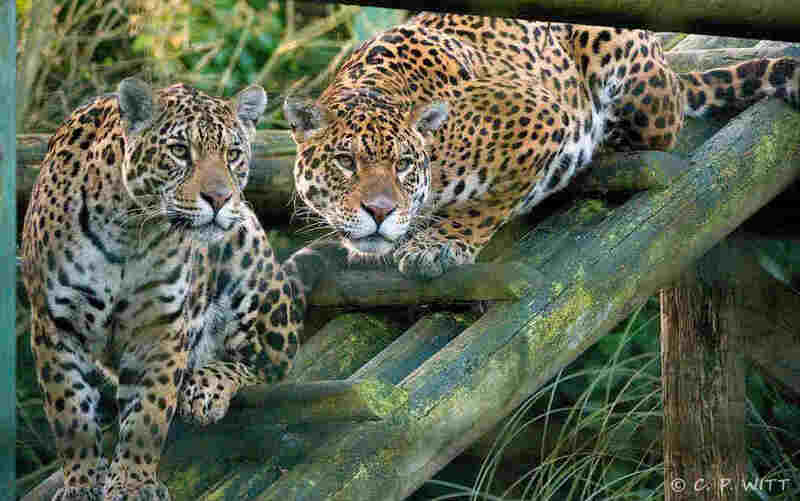 Voted Hertfordshire’s number one outdoor attraction by TripAdvisor, Paradise Wildlife Park is the only one of the animal parks in the UK which is home to five different big cat breeds – White Lions, Tigers, Snow Leopards, Jaguars and a White Tiger. 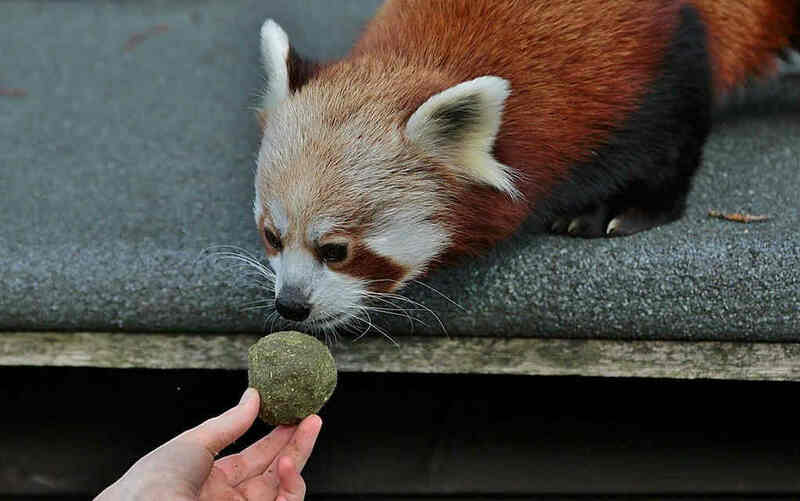 Set in the beautiful surroundings of Broxbourne Woods, in the heart of the Hertfordshire countryside, Paradise Wildlife Park is home to over 500 exotic wild animals, including monkeys, zebras, lemurs, meerkats, red pandas, tapirs, penguins, wallabies, emus, birds of prey, parrots and reptiles. It also offers a full programme of daily animal shows and events perfect for the whole family, such as On Safari Adventure Golf, National Speedway Museum, Animal Resource Centre plus the Jungle Theatre, Woodland Railway, three adventure playgrounds, Tumble Jungle & Paradise Lagoon. Your little ones will love discovering an array of animals at Yorkshire’s The Deep, nearly 5,000 of them to be exact! 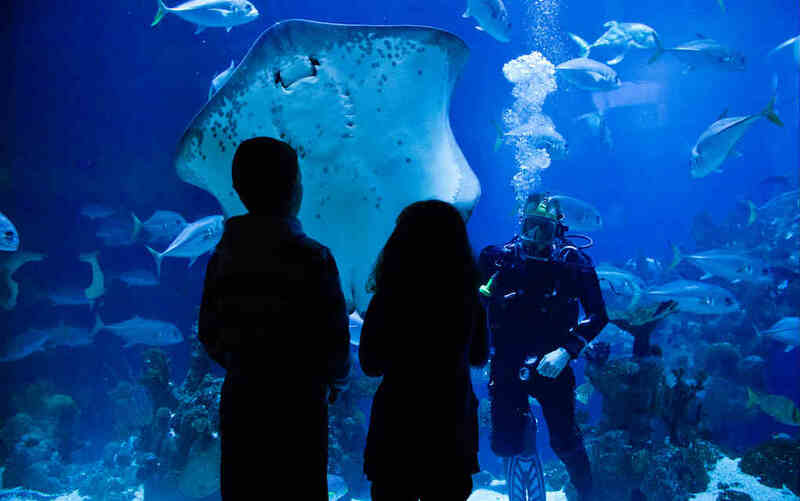 The attraction is home to almost 3,500 fish, including the UK’s only pair of Green Sawfish, sharks, rays, jellyfish and many more that can be seen at a daily dive show. You can also get hands-on with some of the smaller species found on UK shores in a touchpool session, happening every hour from 10.30am to 4.30pm at Dylan’s Discovery Corner. The Deep is also home to some VIPs – Very Important Penguins! There’s a colony of Gentoo penguins in the Kingdom of Ice, and you can see feeding time for these much loved residents at 11.30am and 3.30pm daily. Some of the favourites also include two Loggerhead sea turtles, named Sensa and Mabouche, as well as a variety of invertebrates, frogs and snakes to discover throughout the attraction. Be prepared to have a fin-tastic time! 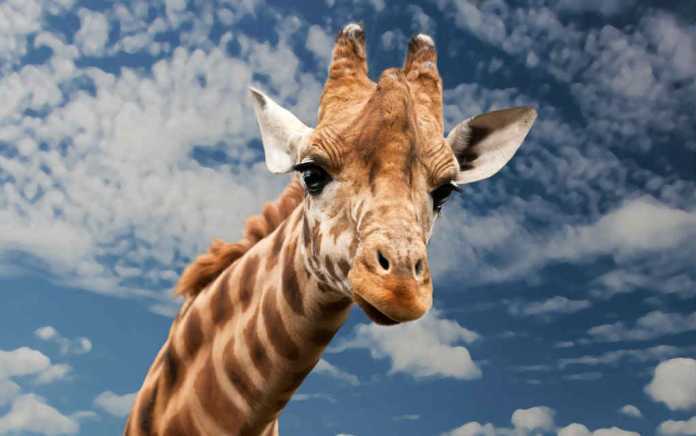 Take the family to meet some of the safari stars and get closer than ever to the amazing wildlife at Woburn Safari Park, one of the most popular animal parks in the UK. Adventure by car in the Road Safari parkland animal reserves, then explore the Foot Safari and watch educational keeper talks and demonstrations. There are three mischievous black bears – Alabama, Sekani and Kaska – living in the Kingdom of Carnivores, alongside a family of Canadian timber wolves. Animal Encounters in the Foot Safari is home to the lovely group of donkeys, goats, sheep, pigs and ponies and ‘Farmyard Friends’ is an opportunity to be face to face with these friendly animals – don’t forget your camera! At ‘Cachorro Range’ meet Vinnie and Viv the bush dogs, South American canid species that hopefully will breed a future of adorable bush pups! There’s also a new species called agouti (large rodents) and spiny-tailed iguana, plus a rare red panda and tawny frogmouths! It’s a full day’s worth of animal fun the whole family will love. Experience the beauty of Longleat Safari and Adventure Park and the thrill of the safari drive which takes you closer to wild animals than ever before. Go on Safari, discover the delights of Longleat House and Grounds, come face-to-face with amazing creatures in Animal Discovery, and explore the fun-filled Adventure Zone – there is so much to do at one of the most famous animal parks in the UK! On safari, drive through the lion paddock and watch them pad past the car or seek shade under a nearby tree. You can also see Anne the elephant, hunt down the wolf pack and gasp at the magnitude of the white rhino as it comes crashing past your path. Then go on a walking safari through the African village to meet giraffes and zebra, take a jungle cruise on the lake to visit Gorilla Island and sea lions, hand feed lorikeets and wander into the bat cave and monkey temple. Little explorers will love the huge adventure castle and new play area inspired by native wildlife! Don’t forget to leave time for the daily shows in Pets Corner, to get lost in the giant hedge maze, or to take a trip on the Jungle express. An animal lover’s adventure! 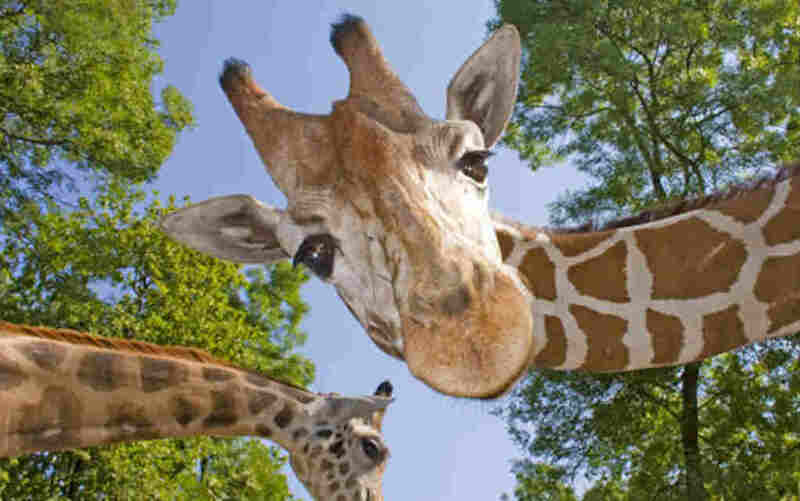 Explore the wonders of the natural world at Marwell Zoo, near Winchester, and play a big part in helping to save them. From ring-tailed lemurs to majestic giraffes, and curious meerkats to stunning snow leopards, the 140-acre park is home to an incredible range of exotic and endangered species. Spend time with Marwell’s playful primates at Lemur Loop and explore the environment of four different species of lemur who will be joined in their new home by a new species for Marwell – green peafowl. With a beautiful landscaped setting, both indoors and out, the new lemur exhibit promises a truly immersive experience. With all this, plus five adventure playgrounds, a free tractor train, rail train and an indoor picnic area, there’s plenty to occupy your little ones. 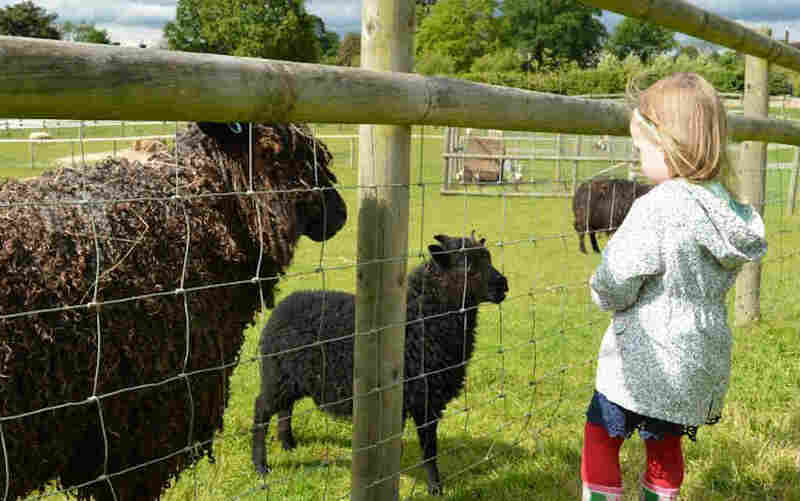 Families will find plenty of things to do and enjoy at Hatfield Park Farm in Hertfordshire. Covering an area of approximately 25 acres on the west side of Hatfield House, the farm shows the animals in a natural countryside setting. While walking amongst the paddocks, visitors can see donkeys, pigs, sheep, cows, goats, ponies and many types of ducks, chickens and geese. By taking advantage of the feeding stations, visitors can see them up close. Children can play in the sand pits, bounce around on the tractor tyres, climb up and over the wooden tractor or take a trek along the goat pass, a play challenge in the heart of the farm. 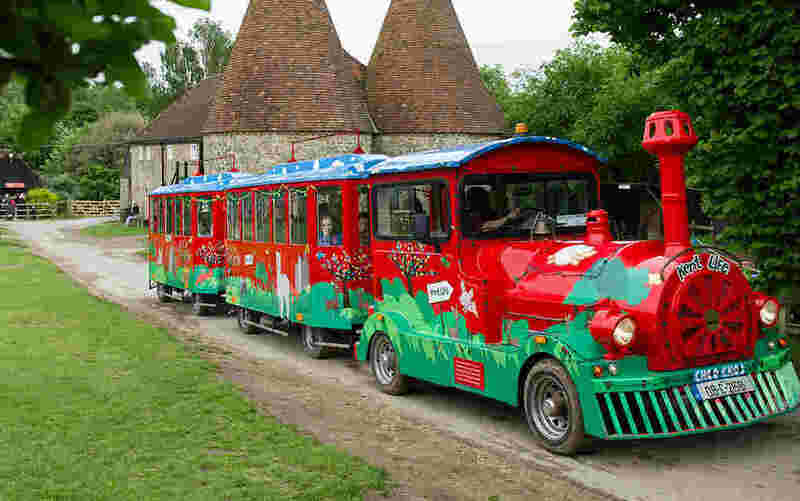 There is also a miniature train ride (additional charge). Discover Kent Life Heritage Farm Park where history and family fun sit side by side. A real working farm, Kent Life showcases and breeds traditional animals. Cuddle Corner provides the opportunity to get up close and personal to some smaller farmyard friends – a must for a family day out in Kent. The daily entertainment schedule offers the chance to meet some friendly animals with feeding and grooming sessions. There’s also plenty to discover by taking a stroll along the nature trail. Located in the Garden of England, you can explore the collection of historic buildings, including Britain’s last working coal-fired Oast House. Children will enjoy an array of family fun, including indoor and outdoor play areas, donkey rides, bouncy castle, tractor rides, paint-a-pot studio and more! Discover, explore and have fun at Godstone Farm. Set in the beautiful Surrey Hills and a short distance from the M25, the farm is a great fun-filled day out for the whole family. You can see a large variety of over 500 large and small animals, including highland cows, reptiles, llamas, giant rabbits and lots more. 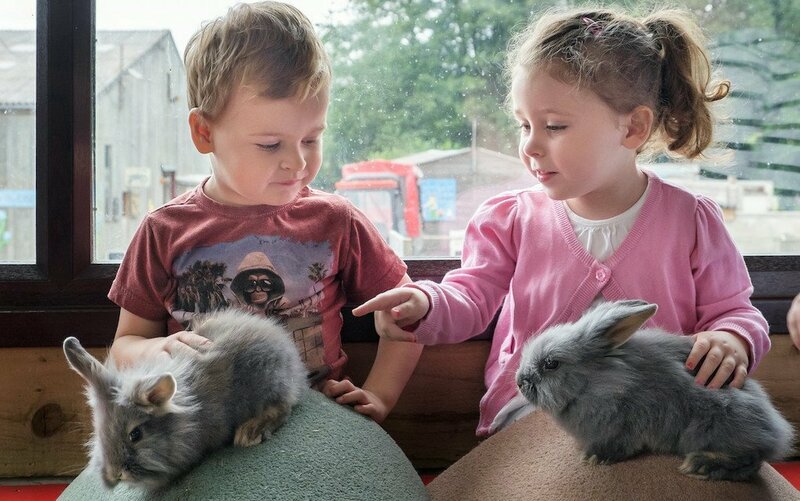 There is plenty to do with tractor rides, animal handling, pig racing, sandpits, Dino Trail, feeding sessions, den building, ride on runway and lots more. Don’t forget to leave time to make use of the soft play barn and giant adventure playground for plenty of climbing, swinging and balancing! When you arrive at Manor Farm after a winding drive through the country park, it’s like you’ve stepped back in time. The farm was the setting for the BBC’s Wartime Farm series, which looked at the 600-year-old farm’s role in World War II. Children can explore the historic farmhouse, the Victorian schoolroom and the air raid shelter. 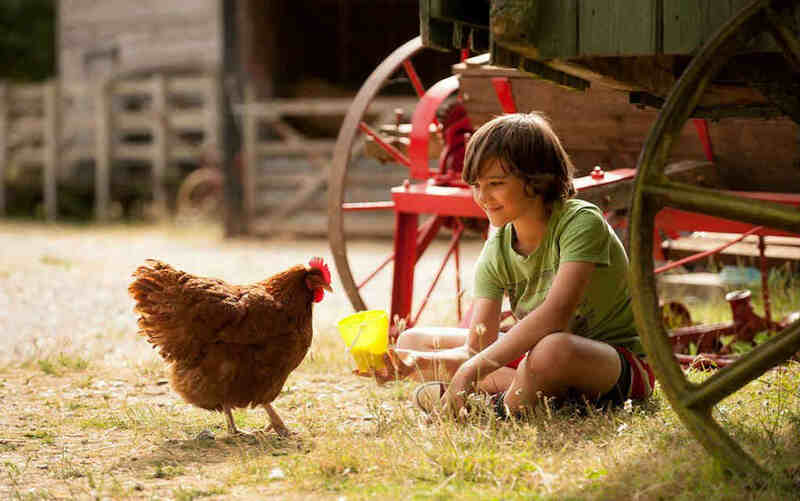 Among the farm animals are free-range chickens, cows, horses and pigs. Each day there’s a chance to meet and hold some of the newest baby animals to arrive at the farm. Make sure you leave time to explore the stunning woodland. Spot roe deer in the distance, listen out for birds and enjoy the changing seasons. 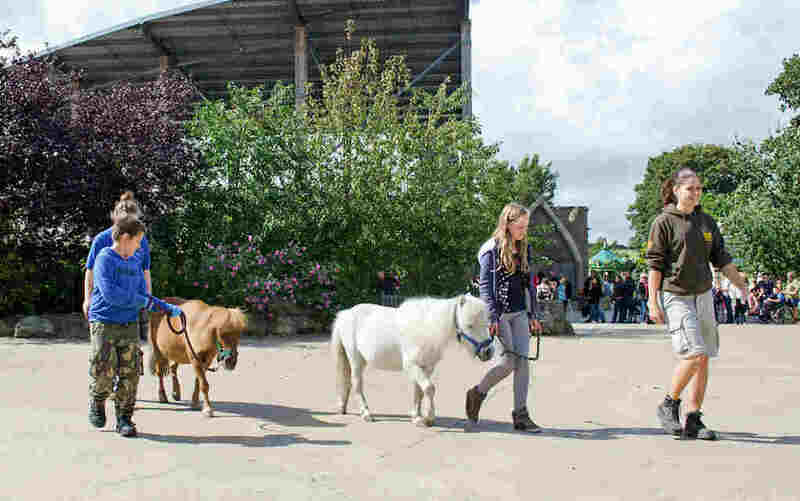 A day out at Manor Farm will delight school-age children and tiny tots, and is best suited for fair weather days as indoor space is limited. Dumbo rats, Aylesbury ducks and yellow-crowned parakeets are just some of the new species you can see at Battersea Park Children’s Zoo. Pint-sized animals for pint-sized kids makes Battersea Park Children’s Zoo the perfect miniature afternoon out. Get up close and cuddly with otters, some particular cheeky monkeys, donkeys, lemurs and even a chipmunk or two as you explore the grounds. If they all sound too cute for your little explorers, take them on a trip to the Reptile House where bearded dragons roam… There’s also all the slippery, scaly classics like snakes, turtles and a somewhat unexpected star: a giant snail! There’s animal-themed fun to be had too, including quiz trails, puppet making, bug days and more. With action-packed playgrounds, a tractor, fire engine and fabulous mammals, reptiles and birds, it’s one big wild world of adventure. And for the stars of the show? You can learn loads about flamingo conservation, particularly in an era when these long-legged lovelies are increasingly under threat. The team make sure kids have plenty of time up close and personal with the animals, with lots of free talks and ‘Meet a Creature’ sessions. If the idea of hand-feeding fish to a colony of penguins makes your stomach erupt with butterflies, then check out the “Be A Zookeeper” experience at this Yorkshire paradise, where you’ll have the opportunity to spend an action-packed day caring for rare and exotic animals. But be warned: it’s not for the faint of heart! In addition to interacting with an assortment of wild animals like rhinos, tigers, and miniature horses, guest zookeepers are also responsible for cleaning up smelly animal enclosures! 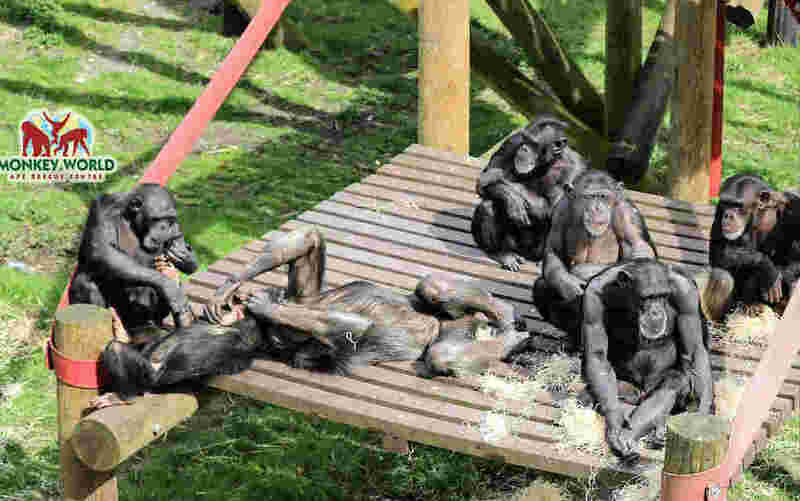 While some may recognise this 65-acre park from TV’s Monkey Life and Monkey Business, Monkey World is also home to more than 250 rescued and endangered primates from around the world – including the largest group of chimpanzees outside of Africa. Guided tours and talks give interesting and personable information about the many different species, personalities and stories that thrive here, raising awareness of the need to protect these amazing animals. Kids will also enjoy the Great Ape Play area, which is the largest adventure play area in the South, a choice of three cafes and lots of lovely picnic spots. Spend a few hours watching the inmates zip around their enclosures, climb trees and ropes, and play to the crowd during feeding sessions. Make a difference to the monkeys on this cheeky and cheerful family day out! 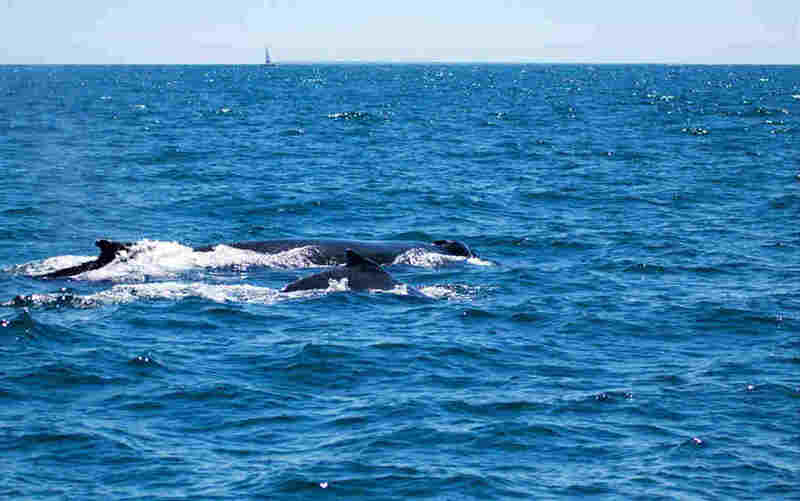 This Anglesey sea safari is the very best way to see wildlife is in its natural habitat. Sea safaris allow you to do just that and there’s a boat ride for any family thrill seekers to cover a spectrum of interests on one magical family day out. 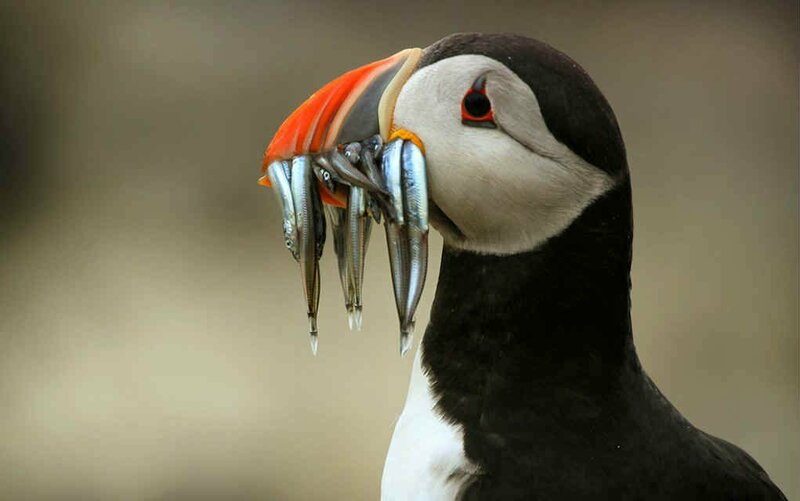 There are a couple of options for spotting the various species of birds and mammals living on and around Puffin Island in the Menai Straits. Depending on your family’s preferred level of adventure, you can either take an exhilarating RIB ride or a more sedate cruise from Beaumaris on Anglesey. Both trips give you the chance to spot a variety of wildlife in the right season. A colony of grey seals has made the east end of the island their home and they can often be seen basking in the sunshine, or swimming in the sea. Harbour porpoises and bottlenose dolphins also inhabit the waters around the island, and occasionally surface near the boat, so keep your eyes peeled! The UK might not have the right climate for swimming with dolphins but you can still see pods of them playing off our shores. The ideal place for dolphin spotting is Cardigan Bay in West Wales, which is home to Europe’s largest population of bottlenose dolphins. Taking a fast boat out into the bay is an experience you will never forget. During the one to two hour trips it’s possible to see grey seals, porpoise, sea birds and, of course, dolphins. 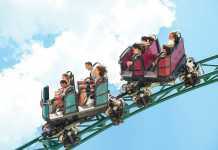 Teens will enjoy the thrill ride and younger kids will be absorbed in searching for the tell-tale signs of dolphins nearby. Make sure you wrap up warm though! 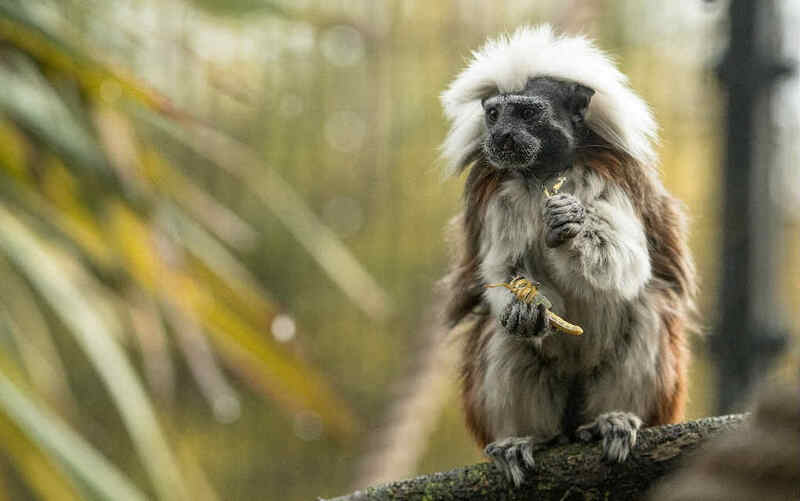 With an emphasis on conservation and education, keepers are keen to share their love and knowledge of their favourite animals, such as Brian the oldest Larr Gibbon in Europe, Beauty the Boa Constrictor, Bill the Bald Eagle, and Harley the Mandrill and family. The outdoor adventure play area is always a big hit with children, who can climb, crawl, slide and swing to their hearts content while you unpack the picnic in the undercover area, ensuring your sandwiches are sheltered from any impromptu rain showers! 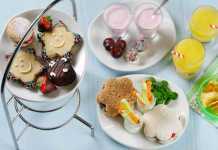 There’s also an indoor soft play and newly refurbished café serving home cooked food that’s locally sourced. Tweens and toddlers will love this small zoo, but come prepared for a bit of walking. 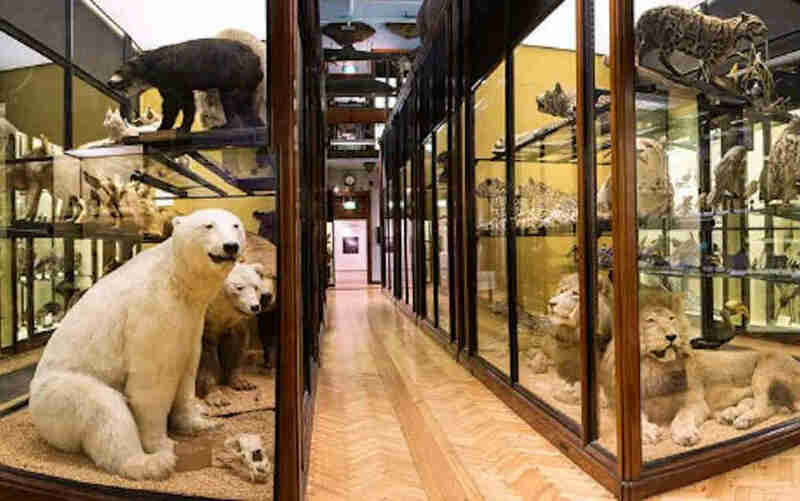 …And for something a bit different, what about the Tring Natural History Museum? Ok so the animals aren’t actually alive but they are no less fascinating to my two! Discover animal specimens from all over the world – from tiny beetles to enormous bears, from antelope to zebras, from multi-colour mandrills to elephants, crocodiles, rhinoceroses, tiger sharks and much more… a veritable Noah’s ark of animals! They are all here and displayed in original Victorian glass cabinets. 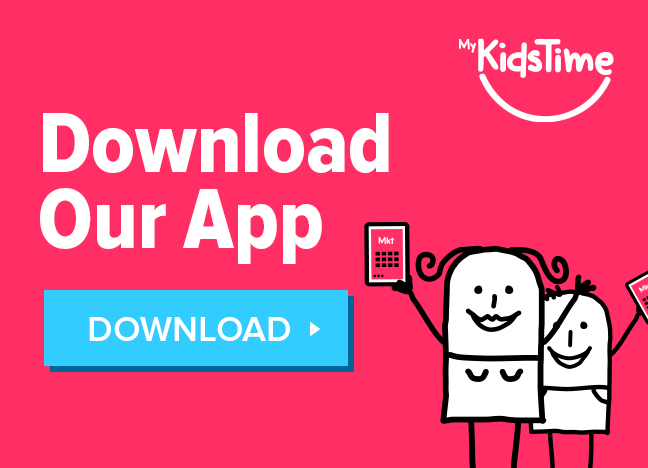 It’s fascinating for both parents and children alike – and, best of all, it’s FREE to get in! What are your favourite animal parks in the UK? Leave a comment below and let us know – we’d love to hear from you! Next articleValentine’s Donuts are the Sweetest Gift You’ll Ever Get!